Here's my purchase. I kind of went crazy but it wasn't as bad as another girl. She bought twice as much as me. She said these masks are great. For this post, I will review the mask on the right. Thoughts: I first heard about Mediheal through Korean celebrities but it's hard to find in stores here. When I saw some products at my TJ Maxx and some at Marshalls (the stores are next to each other where I live), I ended up buying the different masks. I could had bought more but the lady who mentioned she loves this brand ended up buying all of them. She only left a few which were the ones I purchased. Here's a closer look at the individual packaging. The box comes with ten single masks. 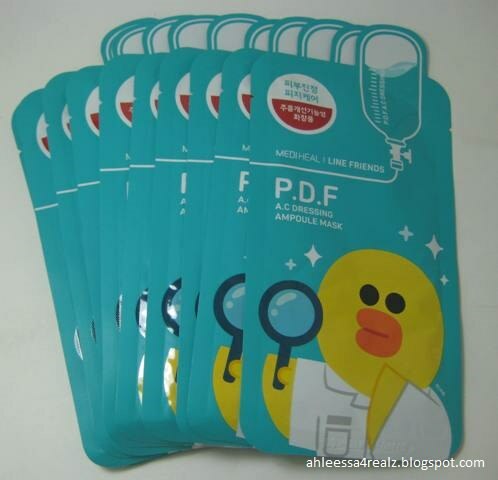 Here's a closer look at the individual sheet mask. Now for my overall opinion... First of all, there's a slight scent while wearing. It smells like flower and it diminishes with time. It could also be I got used to the scent while wearing. Secondly, I like the packaging of both the box and individual. They are an exact image but the only difference is the texture. The box is matte and the individual packaging is shiny. Plus, it doesn't hurt that both are mint and have a cute anime character. With that said, it's well-made and sturdy. I cannot see the individual packaging opening or breaking unless you are really rough. For this reason, it's travel-friendly. Each individual packaging is easy to throw in your purse and bag. It'll be great for makeup artists to apply on clients before doing their makeup. I like that the sheet mask is medium in thickness. It makes it easy to unfold without worrying about ripping. 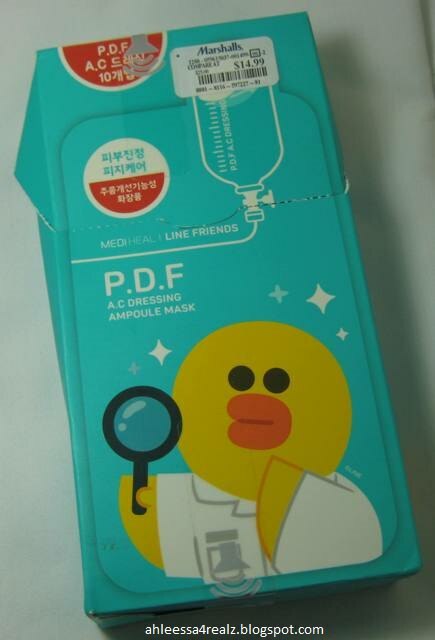 The dimension of the sheet mask is wide. The length is good for the chin. The forehead area can be longer. It doesn't cover the corners of my forehead. The dimension of the nose is wide but the length isn't. It's cut straight horizontal. It doesn't cover the tip and I'm not too sure why. The best part is the cute anime character on one of the cheeks. It adds a bit of fun while masking. Third, there's a lot of essence. It's not to a point the sheet masking is dripping while taking out of the individual packaging. With that said, there's a lot of leftover essence in the package. You can use it on your neck, chest, elbow, and so on. I love when sheet masks have a lot of essence. It's soothing, refreshing, and best of all it's great for people with dry skin. It hydrates during and after the masking. It's easy to use. They recommend using it for 10-20 minutes but I actually mask for 30. Even masking longer than required, the mask does not dry out and stick onto your skin like glue. When I remove the mask, my skin looks flawless. The color looks even, less noticeable fine and thick lines, and best of all my skin glows. My skin looks younger and more alert. Lastly, my skin looks decent in the morning. I do see fine lines but with usage, it improves. You need to constantly use it once or twice a week. 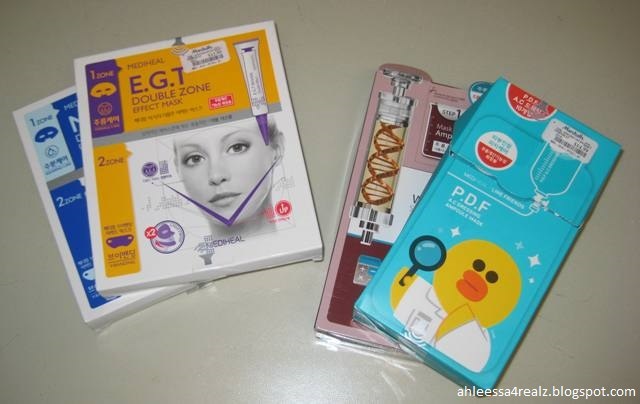 Plus, I recently haven't been good with skincare routine which is not a good thing with this dry winter weather. Now that things are getting less hectic, I will improve day by day. With that said, I'm glad I purchase this product. It's a good mask. I wouldn't say it's the best but it is up there. If you have normal skin, this might be a good one for you. * Cute anime character and mint colored packaging. * Great for makeup artists. * Medium thickness; don't need to worry about ripping while unfolding. * Dimension is wide and long for the chin. * Dimension of the nose is wide. * Cute anime on one side of the cheek. * Enough essence and more. * Can use the extra essence on other parts of the body. * Great for normal to dry skin individuals. * Skin looks even and it glows. * Less noticeable fine and thick lines. * Skin looks younger and alert. * Skin looks decent the next morning. * Slightly short on the corners of the forehead. * Tip of the nose is cute straight horizontal; doesn't cover the tip.